More and more, you’re seeing clients (and prospects) turning their attention away from traditional estate tax and financial planning and toward income tax reduction and asset protection. Why? Because of ATRA’s higher ordinary and income tax rates, higher capital gains tax rates, deduction phase-outs and higher estate tax exemption, Obamacare’s “net investment income “surtax”, a higher estate tax exemption, and an increasingly lawsuit-happy society! Fortunately, it’s not difficult to re-tool your practice to meet this new demand for income tax and asset protection planning. You just need to “tweak” how you use many of the techniques already in your bag of tricks (and maybe add a few others). Regardless of whether you’re a financial advisor, life insurance agent, CPA or estate planning attorney (and regardless of your level of expertise), you’ll want to know the 25 Hottest Selling Tax, Financial, and Estate Planning Techniques for 2014 - - so you can show them to your clients and prospects before your competitors do! 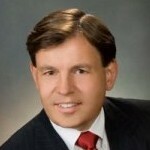 Join us and nationally renowned tax and asset protection expert, Robert Keebler, CPA, MST, AEP, CGMA for a very special and timely two-part program series entitled, “The Top 25 Tax, Financial and Estate Planning Techniques for 2014”. The Advisor’s Guide to The Top 25 Tax Planning Ideas for 2014 which includes a 148-page manual with valuable information about strategies that are going to be key this year for your clients, including: Bracket Management Strategies, Income Smoothing Strategies, Income Shifting Strategies, Reducing Taxable Income Strategies, Specific Net Investment Income Tax Strategies and Wealth Transfer Strategies. You will receive a printed version of this guide, plus a PDF copy of this on CD (so that you can easily print multiple copies for everyone in your office!). 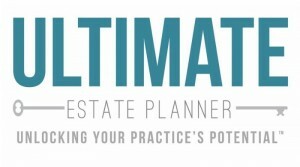 PLUS, Bob has thrown in a special bonus for The Ultimate Estate Planner, Inc. edition, that even we don’t know about! Planning Checklists for the 3.8% Net Investment Income Tax (NIIT) and the Top 25 Planning Ideas, in a modifiable format* so that you can brand and customize these checklists to suit your practice needs and strategies. The Top 10 Tax Planning Ideas for 2014 Chart for you to have a quick reference when meeting with your client, prospects and referral sources about the top ten strategies for 2014. The Applying the 3.8% Net Investment Income Tax Chart for you to be able to quickly and easily discuss the 3.8% NIIT with your clients and prospects. The Roth IRA Conversion Decision Chart so you can quickly and easily help make the decision with your clients and prospects about whether a Roth IRA conversion makes sense for them or not. Sample Client Letters for both existing clients and prospective clients in a modifiable format so that you can customize and brand the letters to you and your firm! This special 2-part presentation, “The Top 25 Tax, Financial and Estate Planning Techniques for 2014”, is included with your order of Bob’s 2014 Tax Planning Success Kit. To order the Kit, click here.